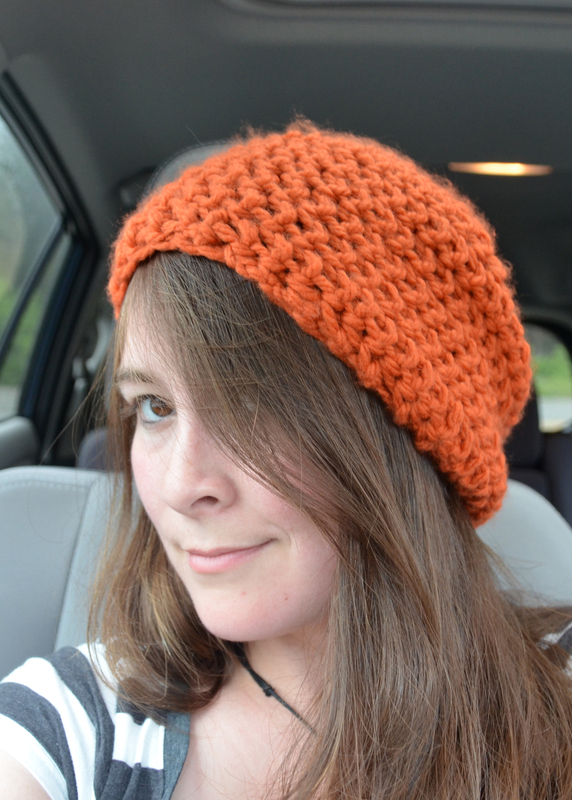 I crocheted my very first hat… or really anything circular in crocheting. 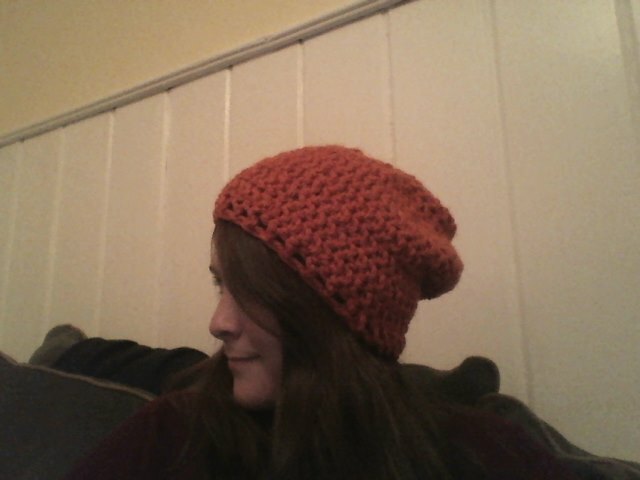 It is a slouchy beanie. I would give you the pattern, but I genuinely don’t remember what I did. I will be trying to re-create it this week… so we’ll see! It turned out pretty well for a first attempt/making it up as I went along. The only thing I had to look up was how to start a circle. I looked it up on YouTube, and found some great tutorials. I’ve worn it almost every day since I made it (because I’m a dork like that), and it has only stretched a tiny bit. I’m pretty pleased with it.